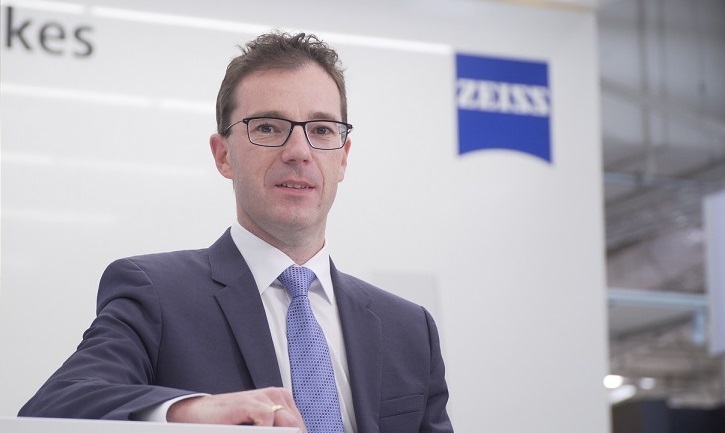 At the beginning of 2018, ZEISS acquired a majority stake in the Italian X-ray provider BOSELLO HIGH TECHNOLOGY. Dr. Petra Schmidt, Head of the X-ray field of business at ZEISS Industrial Metrology, discusses what prompted ZEISS to make this acquisition and how customers benefit as a result. Dr. Schmidt, why did ZEISS acquire the Italian company BOSELLO HIGH TECHNOLOGY? BOSELLO gives us a particular portfolio and market access we did not have previously. The company specializes in inspection solutions for aluminum cast parts, primarily by using 2D X-ray systems. The Italian subsidiary offers both economical entry-level products as well as fully automated systems for inspecting parts like rims or performing in-line quality control. With this acquisition, we have positioned ourselves as a solutions provider with a broad portfolio in the area of destruction-free materials and component testing. Which specific systems does ZEISS offer in this area? In addition to our 3D offerings, ZEISS VoluMax and ZEISS METROTOM, we now have a range of 2D solutions in our portfolio. The systems developed by BOSELLO like SRE MAX, WRE Thunder or OMNIA impress customers with their high level of flexibility and enable the quick, simple, and cost-effective inspection of different cast parts – including in the production line. For many applications, 2D tomography remains the most suitable method for destruction-free component inspection. How does this broader portfolio benefit customers? We are now the customer's one-stop shop for the X-ray inspection techniques required for quality assurance and process optimization. We also offer the right support solutions and trainings for their needs. Pooling the development knowledge of both companies will also be to our customers' advantage over the coming years. This setup will enable us to bundle expertise and develop innovative solutions more quickly. What developments does ZEISS have planned in this area? Non-contact and destruction-free quality assurance solutions are a booming growth market. We recognized this very early on and, years ago, started developing computer tomographs for performing measurements. Moreover, we also invested in the development of 3D in-line computer tomographs and brought the first fully automated in-line systems to market. With BOSELLO, we are working on ensuring computed tomography is even better positioned in industry. We will be developing new solutions for the automotive sector as well as for other market segments. How is BOSELLO being integrated into the world of ZEISS? Right now, BOSELLO conducts its business activities largely on its own while operating under the name "BOSELLO HIGH TECHNOLOGY – A ZEISS company." However, the development engineers are already working closely together, defining future areas of responsibility and developing a shared focus. Moreover, existing BOSELLO customers benefit from our global sales and service footprint. This means they have a ZEISS contact close by who can assist them with X-ray technology and any other metrology questions they might have. Through the joint venture ADAMOS (ADAptive Manufacturing Open Solutions), ZEISS, DMG MORI, Dürr and Software AG as well as ASM PT have established a strategic alliance for the future topics of Smart Production and the Industrial Internet of Things (IIoT). Dr. Jochen Peter, Head of the Industrial Metrology business group, explains what exactly this means. Reserve your spot for this great event on August 23 from 10 am - 4 pm! Faster, more precise, more cost-effective: inline production is constantly evolving. But not every innovation can revolutionize the entire process like “correlation-free measurement.” Dr. Kai-Udo Modrich, Managing Director of Carl Zeiss Automated Inspection GmbH, explains the rules of the game which change and the advantages that are created for the automotive industry.